The House Republican Caucus was successful in securing language this week in the Fiscal Year 2018 House budget to address the burden of unfunded state mandates on local schools districts. The House of Representatives approved an amendment offered by House Minority Leader Bradley H. Jones, Jr. (R-North Reading) to create an Educational Unfunded Mandate Task Force that will review all state laws, regulations, and administrative directives that impose reporting requirements and other mandates on school districts. In addition to developing a cost estimate for these mandates, the task force will provide recommendations for streamlining, consolidating or eliminating them. The Caucus’ goal is to prevent the state from imposing costly mandates without also providing cities and towns with the financial resources needed to comply with these requirements. 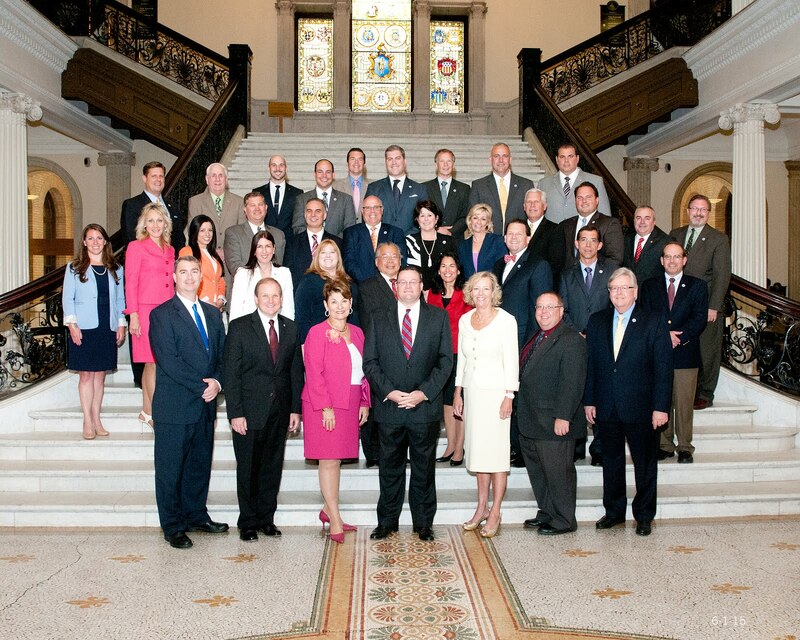 The task force will be comprised of a cross-section of educational professionals, including representatives of the Massachusetts Association of School Superintendents, the Massachusetts Association of School Committees, the Massachusetts Association of School Business Officials, the Massachusetts Secondary School Administrators’ Association, the Massachusetts Elementary School Principals’ Association, and the Massachusetts Administrators of Special Education. The House and Senate chairs of the Joint Committee on Education will chair the task force, with the Commissioner of Elementary and Secondary Education and two legislators appointed by the House and Senate Minority Leaders also serving as members. Pending final budget approval in conference committee, the task force will convene this summer, and will issue a final report of its findings and recommendations within one year of the initial meeting. A House Republican Caucus proposal to expand the Conservation Land Tax Credit received initial approval from the House of Representatives yesterday, on the first day of debate on the Fiscal Year 2018 state budget. The Executive Office of Energy & Environmental Affairs (EOEEA) offers the tax credit to property owners who agree to donate certified land to public or private conservation agencies. The budget amendment – filed by House Minority Leader Bradley H. Jones, Jr. (R-North Reading) and the House Republican leadership team – calls for an increase in the annual cap from $2 million to $5 million over a three-year period, beginning on January 1, 2018. The amendment seeks to encourage additional conservation efforts throughout the Commonwealth while addressing the existing backlog of tax credit applications. Established by the legislature in 2008, the Conservation Land Tax Credit was first offered in 2011, providing a tax credit for donated property equal to 50 percent of its fair market value, up to a maximum credit of $75,000 for each qualified donation. Between 2011 and 2016, a total of $10.7 million in tax credits were issued to permanently protect 10,435 acres of donated conservation land valued at $46.3 million.